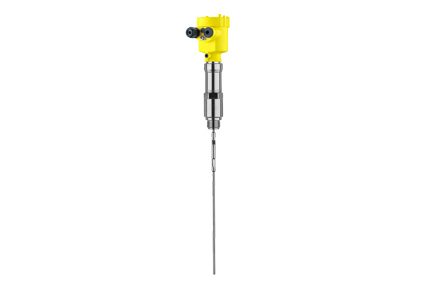 The Vegaflex 66 is a Guided Wave Radar (GWR) Level Transmitter for measurement of liquids and bulk solids at high pressures up to 400 bar and temperatures up to 400 °C. The Vegaflex 66 delivers reliable and high precision measured values unaffected by ambient influences such as dust, steam, buildup and condensation. This sensor is the high-quality solution for sophisticated applications in the chemical and petrochemical industry as well as power generation.